Bock, T. (2015). Construction robotics enabling innovative disruption and social supportability. International Symposium on Automation and Robotics in Construction (ISARC), 32, pp. 1-11. Finland. Bock, T., & Linner, T. (2016). Construction Robots, Elementary Technologies and Single-Task Construction Robots, Cambridge handbooks on construction robotics. New York: Cambridge university press. Cinkelj, J., Kamnik, R., Cepon, P., Mihelj, M., & Munih, M. (2010). Closed-loop control of hydraulic telescopic handler. Journal of Automation in Construction, 19(07), 954-963. Falk, J. H., Augustinson, D. F., & Brunkeberg Systems Ab. (2014). USA Patent No. US8695308. Gray, C., & Hughes, W. (2001). building design management. butterworth: oxford. H., Y. S. (2007). 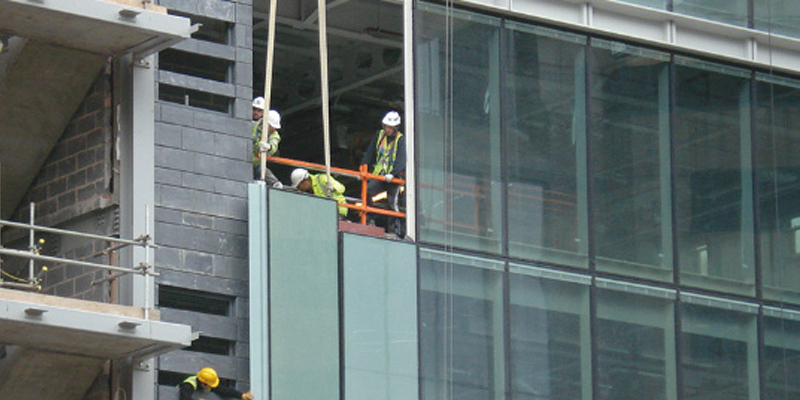 Development of the curtain wall installation robot: Performance and efficiency tests at a construction site. Autonomous Robots, 281--291. Hastak, M. (1998). Advanced automation or conventional construction process. Journal of Automation in Construction, 7(4), 299-314. Moreira, E., Pinto, A. M., Costa, P. J., Moreira, A. P., Veiga, G., Lima, J., . . . Costa, P. G. (2015). Cable Robot for Non-Standard Architecture and Construction: A Dynamic Positioning System. International Conference on Industrial Technology (ICIT) (pp. 3184-3189). Seville: IEEE. Vähä, P., Heikkil, T., Kilpelinen, P., Jrviluoma, M., & Gambao, E. (2013). Extending automation of building construction survey on potential sensor technologies and robotic applications. Journal of Automation in Construction, 36(0), 168-178. Yu, S. N., Lee, S. Y., Han, C. S., Lee, K. Y., & Lee, S. H. (2007). Development of the curtain wall installation robot: Performance and efficiency tests at a construction site. Journal of Autonomous Robots, 22(3), 281-291. TAGHAVI, Meysam et al. Development of a Modular End Effector for the installation of Curtain Walls with cable-robots. Journal of Facade Design and Engineering, [S.l. ], v. 6, n. 2, p. 001-008, june 2018. ISSN 2213-3038. Available at: <https://journals.open.tudelft.nl/index.php/jfde/article/view/2067>. Date accessed: 23 apr. 2019. doi: https://doi.org/10.7480/jfde.2018.2.2067.